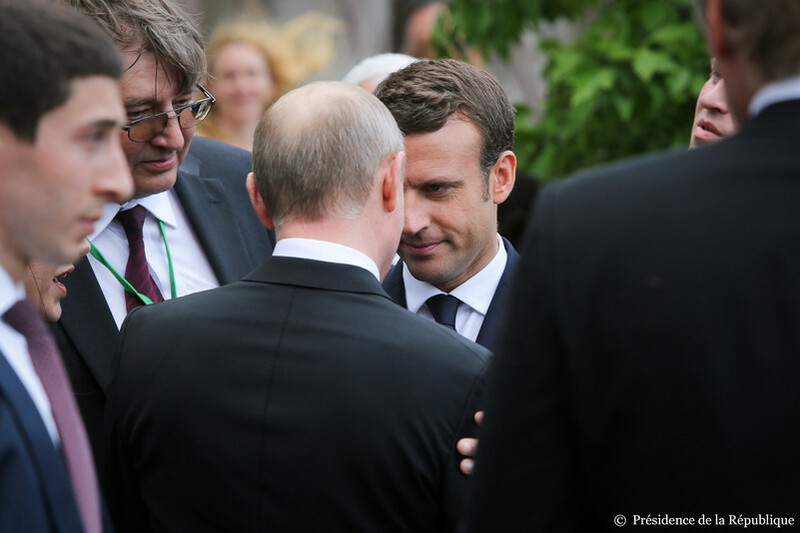 The French and Russian leaders agreed to "strengthen" ties at their first meeting, but exchanged jabs about Russian efforts to influence French elections. Emmanuel Macron and Vladimir Putin tried to "find what can make [them] closer," Putin told reporters. "I am convinced that France and Russia's main interests go beyond the points of friction. 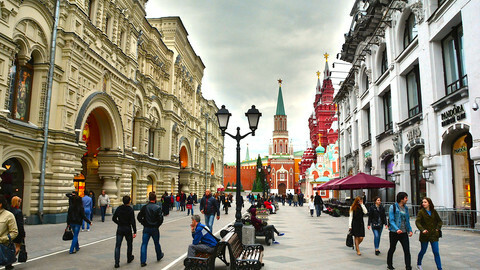 Economic relations are growing," said the Russian president. Macron said that "no [international] issue can be addressed without a dialogue with Russia". The two leaders agreed to set up a working group to elaborate a plan to counter terrorism in Syria. "The fight against terrorism is our absolute priority, it is the guiding principle of our action in Syria," Macron told press in the Versailles palace, near Paris. The French president and his Russian counterpart agreed to work on a political solution to the Syrian war. Putin’s military supports Syrian president Bashar el-Assad. Moscow has also protected him against UN security council votes over the alleged use of chemical weapons against civilians. But Macron said he has "two red lines": the use of chemical weapons and humanitarian access to civilians. He said that "France will retaliate to any use of chemical weapons". Macron and Putin also agreed to meet soon with Germany and Ukraine in the so-called Normandy format to resume talks on Russia’s war in eastern Ukraine. The Organisation for Security and Co-operation in Europe (OSCE), which has monitors on the ground, will be called to give its assessment of the situation prior to the Normandy summit. "We want to achieve de-escalation," Macron said. 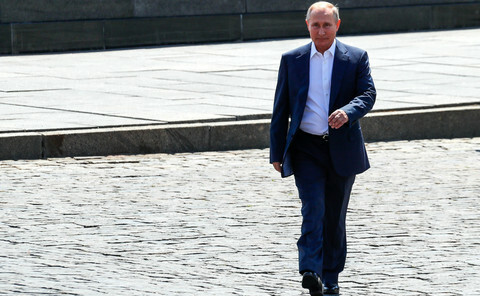 Putin mentioned the Ukraine conflict only to call for an end to the sanctions imposed on his country after it annexed Crimea and invaded east Ukraine. He said that sanctions "contribute in no way to solve this crisis" and called for "an end to all limitations of international [trade] exchanges". Macron added that he "very precisely indicated France's expectations" concerning the rights of gay people in Chechnya and of NGOs in Russia. On a bilateral level, the two leaders agreed to set up a Franco-Russian “forum of civil societies", modelled on a similar Germano-Russian initiative, to foster dialogue between academics, business circles, and intellectuals. Macron hosted Putin in Versailles to celebrate the 300th anniversary of Russian tsar Peter the Great's visit to France. 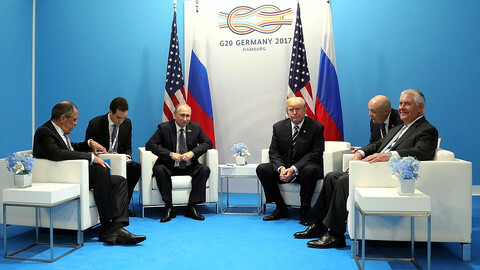 After their meeting, the two men visited an exhibition about the event. 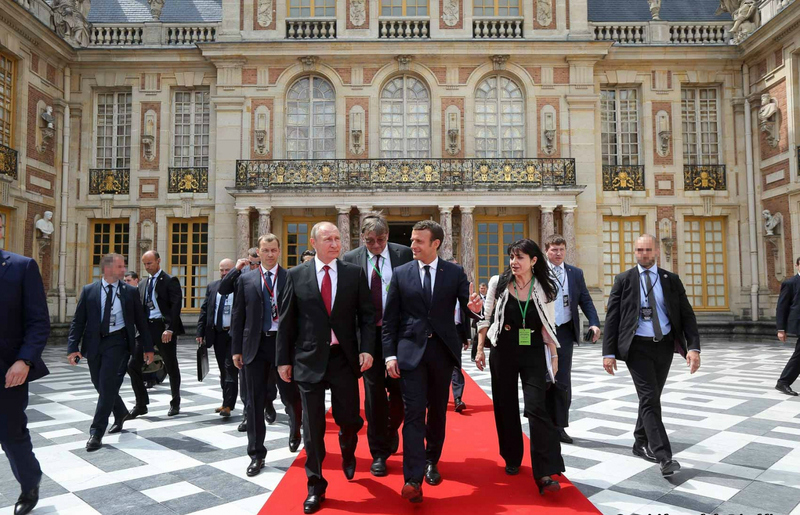 "Peter the Great is a symbol of Russia that wants to open to the Europe," Macron noted, adding that the "friendship" and "dialogue" between the two countries had never ceased. 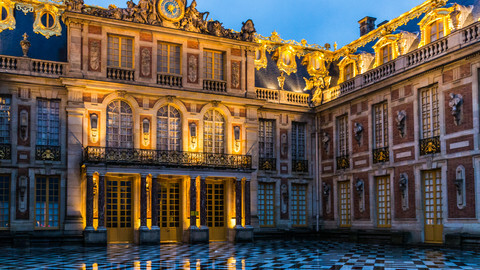 The celebration and the prestigious setting of the Versailles palace were considered to be a good opportunity to mend relations between France and Russia, as well as between Macron and Putin. A visit to Paris by Putin was cancelled at the last minute in October last year, because French president Francois Hollande wanted to hold talks about alleged war crimes in Syria, where Russia was bombing the city of Aleppo. During his presidential campaign, Hollande's successor Macron was the target of Russian-sponsored media attacks and hacks. 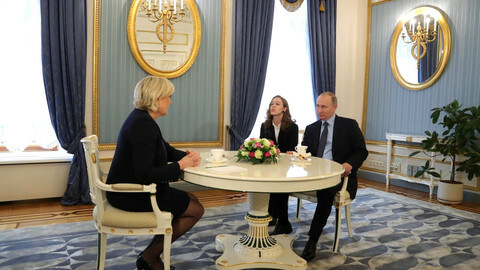 Putin also received Macron's main opponent, far right leader Marine Le Pen, at the Kremlin. The two men did not exchange a defiant handshake in Versailles, as Macron did with US leader Donald Trump in Brussels last week. But they had a courteous sparring match about the campaign events. Macron noted that on 7 May, in the presidential election, "France sovereignly expressed its attachment to its independence". Answering journalists' questions, Putin rejected as ”media hypothesis" the allegation that the hacking of Macron's campaign was carried out by Russian intelligence. He also said that his meeting with Le Pen "doesn't mean we tried to influence the French election". "Anyway, it is almost impossible," he said. He added that Le Pen went "regularly" to Moscow and that it would be "strange" not to meet her because "her views on the preservation of the European identity are not unfounded". Putin said that Macron had not raised the election issue during Monday’s meeting, but the French leader retorted that he had done so when they talked on the phone after his victory. 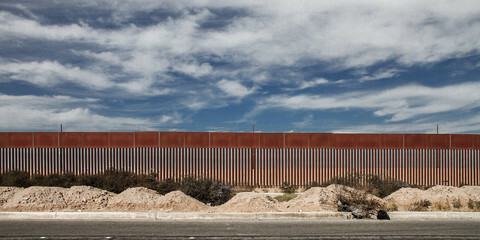 "When I’ve said things once, I am not accustomed to coming back to them," he said. Asked by a journalist from RT, a Russian state media, why RT journalists were barred to access events at the end of his campaign, Macron explained that the media, as well as Sputnik, another Russian state outlet, had "spread slanderous falsehoods" about him. "Russia Today and Sputnik did not behave as media outlets and journalists, they behaved as organs of influence and of lying propaganda," he said next to a stony-faced Putin. 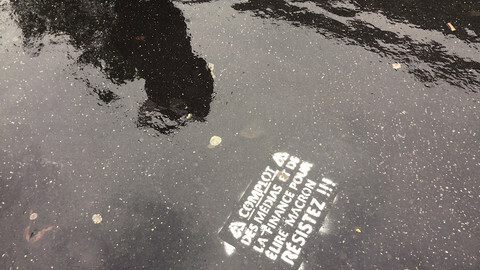 Trojan horses, smoke screens, framed news, and fake news - the final days of the French election saw an outburst of online violence, most of it against Macron. 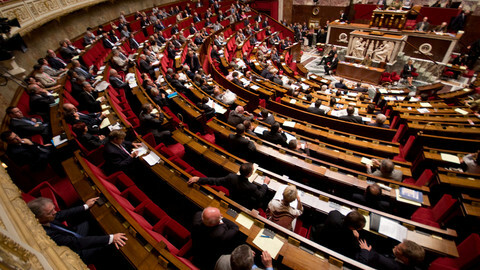 The new French president's party is expected to come ahead in the first round of the legislative elections on Sunday and win a large majority in the run-off.